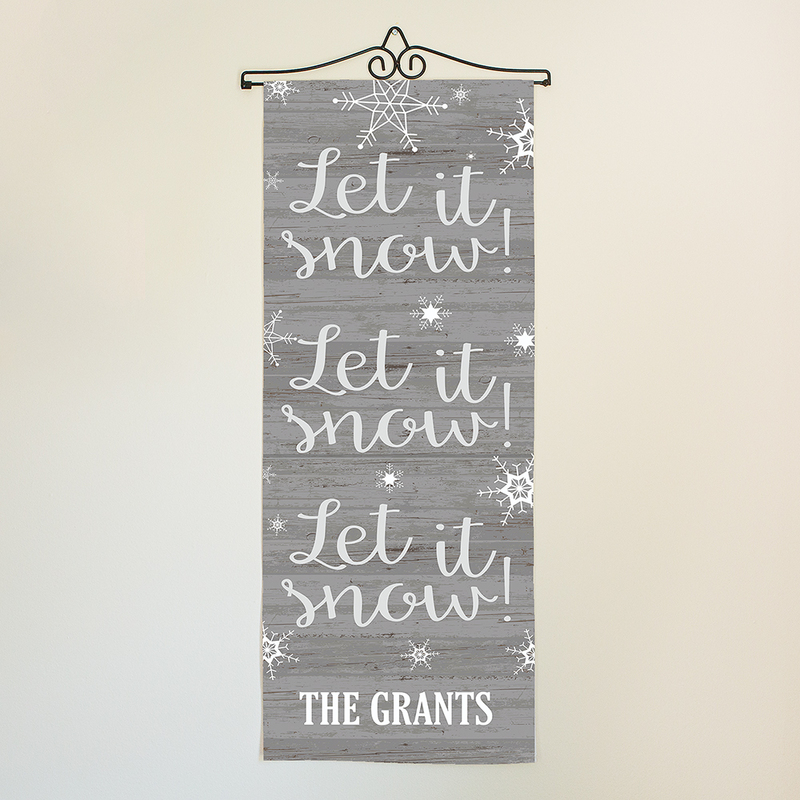 Bring in the changing of the seasons when you display our Personalized Let It Snow Wall Hanging. We'll customize these Personalized Christmas Decorations for you with any family name. Shop more Christmas Decor or other Holiday gifts today!